In this episode, Dave is excited to welcome Bryan Falchuk. 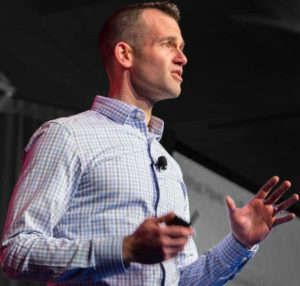 Bryan is the author of the best-seller, “Do a Day: How to Live a Better Life Every Day,” a certified personal trainer, weekly columnist for INC Magazine, and serves as an advisor to multiple startups. But it didn’t start out this way for Bryan. Bryan has an incredible story of transformation and how he used what he learned to create the “Do a Day” process. Do a Day is an approach you can use to change your life. Health, wellness, work, family or any situation where you want to do better, but can't seem to get there or find the missing link to make it happen. Dave goes in depth with Bryan on this process and talks about how anyone can change their path in life, and what they need to know to be successful. Bryan has an incredible story of transformation. Bryan grew up with an early divorce by his parents and he found solace at a young age in food. It comforted him. He continued this and put on weight for well over a decade. He weighed almost 250 lbs at the age of 14. He went through periods where he lost weight, but never had a strong enough why to keep it off until he had a moment in 2007 when he found out that his wife had a chronic illness. She was in bed, wasting away, and her doctors had almost given up on her. Bryan was looking at life losing his wife and caring for his 2 year old son by himself. One day, it hit him square in the face. He needed to be there and be the best role model he could be for his son. That meant Bryan had to change. He woke up the next day a completely changed person. Bryan’s wife survived, but still has chronic lime disease. Bryan went on to lose almost 100 lbs and become a personal trainer, businessman, and everything he is today. The most important thing Bryan has learned about himself and the human spirit? You don’t have to go through a dramatic experience to find clarity. You can do it in your everyday life. If you truly take the time to ask yourself what your purpose and your why is and what you are meant to do, you can then align yourself with it – and make the decisions needed to do so. It is not always that you are the problem, it could be your surroundings and other things affecting you telling you that you need to better align with your purpose. When your purpose aligns with what you are doing, it is amazing the difference it makes. Same person, different life. The goal is to define your purpose now in life as it may have changed from what it was years ago. Get in touch with what you are interested in and what matters to you. Your choices matter and you can choose for every aspect of your life. Your choices have gotten you to where you are, good and bad. The big aha is that you can choose differently for your life and start doing so today. 3rd – Release yourself from the anxiety over future possibilities that have not happened yet. Don’t waste energy worrying about things that could happen in the future. It comes down to self-reflection, incremental wins every day, and focusing on living and making the best choices in the moment. Once you’ve got the clarity, then you can set your goals and focus on executing a piece to get your closer today and each day thereafter. At the 38 min mark, Bryan talks about overcoming the challenges that come up and how to do so. You have a choice when things go wrong to escalate problems or solve them. Solve them. Allow for these things to happen. Keep your calm and respond with logic. Thoughts on succeeding as an entrepreneur? Figure out your true motivation for yourself and your business. Find the true why. Point your why in some purposeful direction. Set your goals and know what you are trying to win and set your markers to win along the way. Do an inventory of your baggage from your past and areas of your life. What is it you are carrying with you? Second, what it is you are afraid of tomorrow that is pulling you out of the now. Write them down and set it aside. 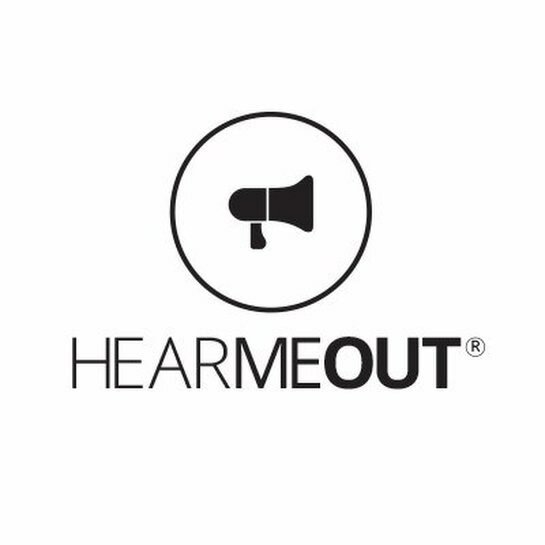 ​HearMeOut is one of the hottest new social nework and communication platforms in the world. They believe talking needs a comeback, and are thrilled to see users who feel the same. The app allows you to share a message up to 42 seconds long and post it to all of your social networks and share it with your friends and followers. It's been called the "Twitter of Voice." The app is FREE and is available in the App Store and Google Play Store. And HearMeOut is excited to partner with Misfit Nation! Each month they are giving you a chance to win $100! Just sign up for the app, and record your best piece of advice on success and then post it using #MisfitSuccess. At the end of each month, we will pick a winner and send you $100!